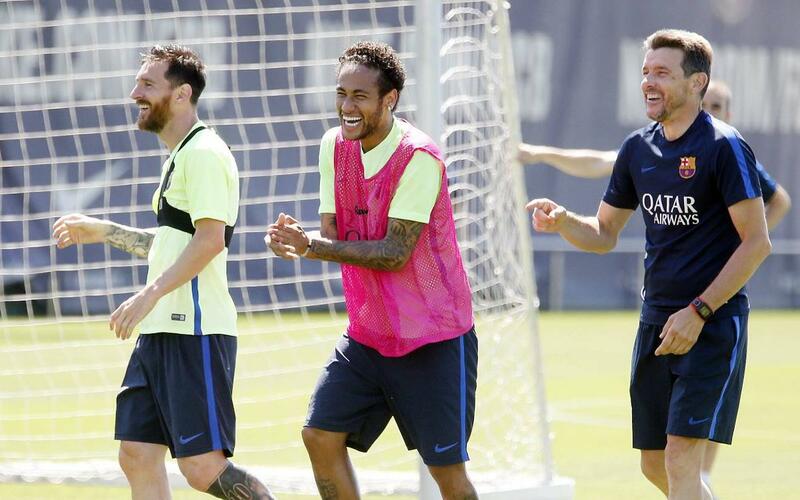 The work never stops at Barça. The available first team players trained at the the Ciutat Esportiva Joan Gamper on Thursday as they continued their preparations for the Saturday’s Copa del Rey final against Alavés. Aside from the available first team players also present at the session were Barça B players Marlon Santos and Àlex Carbonell. This season will see just one more training session on Friday before the squad head to Madrid on Saturday for the game in the Vicente Calderón at 9.30pm CET, the last ever match at the historic stadium.